NIVA Green, a modern curiosity shop of interesting and useful things. Find deliciously clever cards, gadgets, decor, and jewelry, running the gamut from practical to humorous for all age groups and at all prices. NIVA practices its environmental consciousness by offering a selection of many items with high recycled content, local production … Our working studio in back produces about a quarter of what we sell. 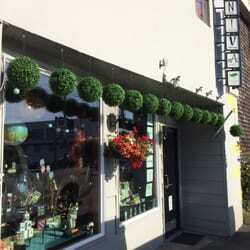 Come see us at our shop just north of the second light on Pacific Avenue in Long Beach, Washington.